Low price and full adpated modern car with dual controls. Lessons will be structured and planned by the driving instructor. Lesson plans will be flexible to meet the learners needs. Quick Learners will have lessons plans adjusted. Order of driving subjects can vary depending on the pupils needs. 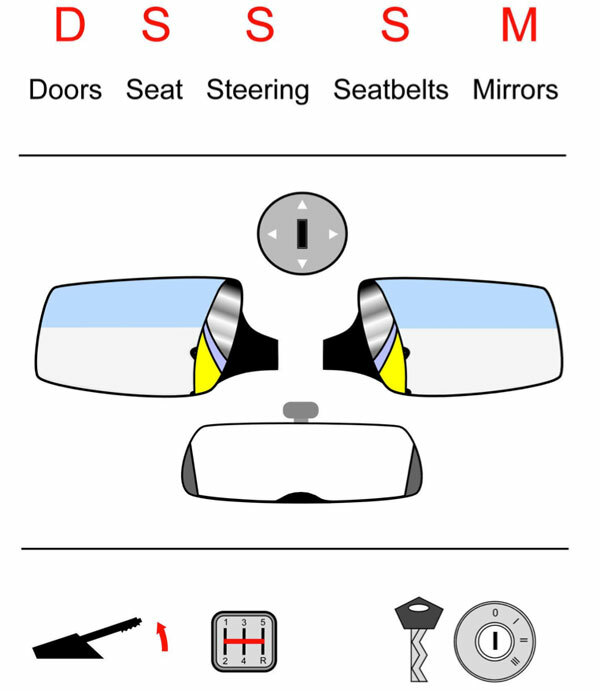 Lesson 1 will involve whats called a cockpit drill - This is learning about the hand / foot / Auxiliary Controls of the car. All lessons will be structured and planned in advance with flexibility from the fully qualified ADI instructor.. Clutch down / 1st gear / set gas/ set biting point by raising the clutch. Observe = Check mirrors and blind spot. Move = consider signal / release handbrake / raise clutch / steer / apply gas. The subject taught and time spend on each subject can vary from pupil to pupil depending on skill and ability. You instructor will be flexible in your needs. Start learning with Leeds Driving Lessons and take advantage of our introductory offer. Simply submit your details below now. © Leeds Driving Lessons. All rights reserved. Driving Lesson Terms & Conditions - your Driving Instructor will discuss the general rules and Terms & Conditions on your first driving lesson.